Guys. Guys! GUYS. Sometimes I feel like I don’t do a good job of letting you know when new and helpful stuff is happening around here, and this was almost one of those times. Finally, we arranged them into orderly collections on our shop page. So neat even Marie Kondo would be proud. All to make your life easier while toiling under the hardship and stress of No Jeans January (though there’s a collection for that, too!). The pieces are the same in each collection. Because every guy who cares about looking good this winter needs cords. Every guy needs a pair of clean white sneakers. And on and on. But we don’t expect a twenty-something and a forty-something guy to have the same clothing budget. We’ve listed a few pieces from the collections below so you can take a peek. Then, go check out all three collections on our shop page. And pssst, you older guys may still want to check out the college guy collection..you may find your next favorite off-duty piece for a steal. SG Says: If you read my mini-screed within a larger, more straightforward feature on twill pants last week, you’ll know that my brother-in-law told me he’d only wear the grey t-shirt and dark rinse jeans from the “Cool Dad” collection. So we’ll start there. 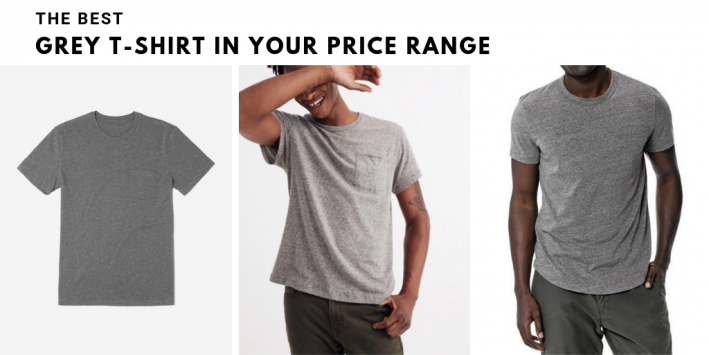 From left to right: an Everlane tee for the college guy, Madewell for the young professional (yep, they’re making men’s clothes now! ), and Buck Mason for my brother-in-law. SG Says: OBVIOUSLY THESE ARE ALL UNDER EMBARGO UNTIL FEBRUARY 1. From left to right: Abercrombie & Fitch, Naked & Famous Denim, A.P.C. 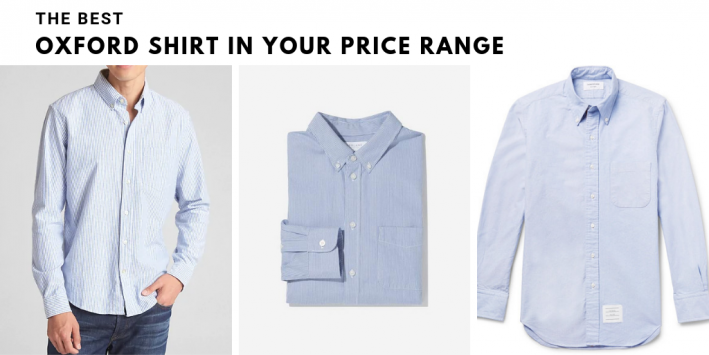 SG Says: We recently touched on what makes an oxford shirt a men’s wardrobe essential, so if you’re looking for a primer, head here. Beyond that, I’ll just say to all you cool dads (and young professionals with a little extra change in the couch cushions), yes, the Thom Browne is worth the pricetag. I promise. SG Says: Function, meet form. Gloves are one of those accessories we don’t often think too much about. You stuff the raggedy pair you picked up at CVS while getting a prescription filled into your winter jacket and you’re on your way. Like nice pens and good beer, treating yourself to gloves you actually like and want to keep in your possession is one of life’s little worth-it luxuries. SG Says: Need some inspiration on how to wear corduroy pants? Gabi’s got you covered with this essential 5 Days, 5 Ways. SG Says: Remember when I said you might be able to find a steal in the College Guy collection? For an item you might be on the fence about (like, say a hoodie in millennial pink), you might not want to break the bank. Or even crack it just a little. No problem. While the Todd Snyder + Champion version in the middle may be cut a little more stylishly and feel more broken in the first time you put it on, you can always save some money with the OG Champion hoodie on the left. SG Says: A white sneaker will never not be an off-duty wardrobe essential. You can dress them up with dark pants and a sweater, or down (duh) with jeans and…pretty much whatever you want. Need more inspiration? Head here. HOW MUCH DOES YOUR OFF-DUTY STYLE DIFFER FROM YOUR ‘ON-DUTY’ WARDROBE? Sign up here for more style intel from the female perspective.